The price of minimalist sneakers has really gone through the roof in the last few years. 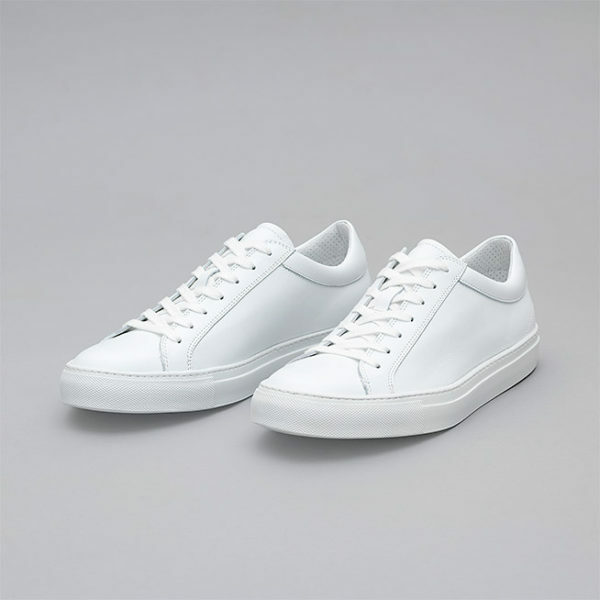 Common Project’s low top Achilles, for example, used to cost somewhere between $250 and $300, but you’d be lucky nowadays to find them at that price on sale. On the upside, with their growing popularity, more and more companies are coming out with their own designs, which means there’s a lot of options at a wide range of price points. 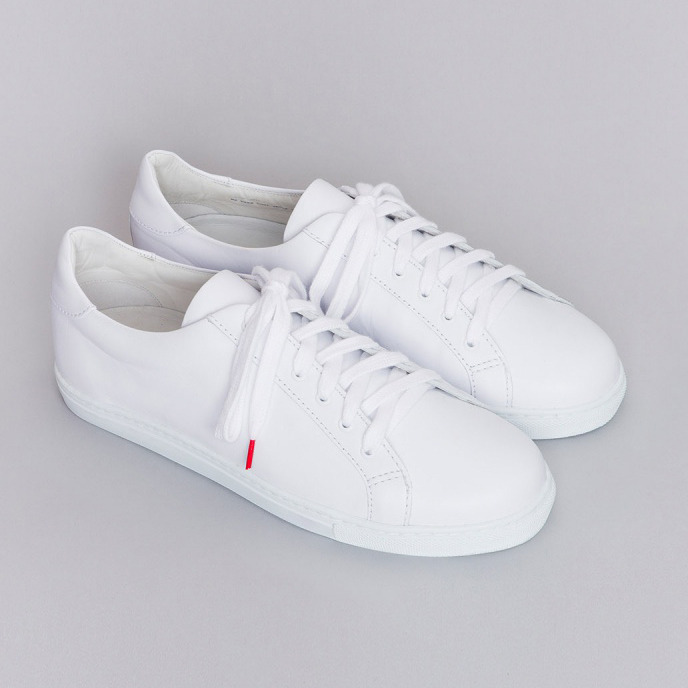 APC ($355): APC’s sneakers are nearly just as expensive at full retail, but given their distribution, you can easily find them on sale. Totokaelo Man, for example, has them on discount right now for $249. Similarly designed and priced are Wings + Horns and Svensson. Buttero ($325): A much more original, but still tasteful, take on minimalism. Depending on what you plan to wear with your sneakers, these could be a better option than your standard sleek or sporty designs. Our Legacy ($310): This Swedish brand has a really nice, youthful take on contemporary men’s clothing. 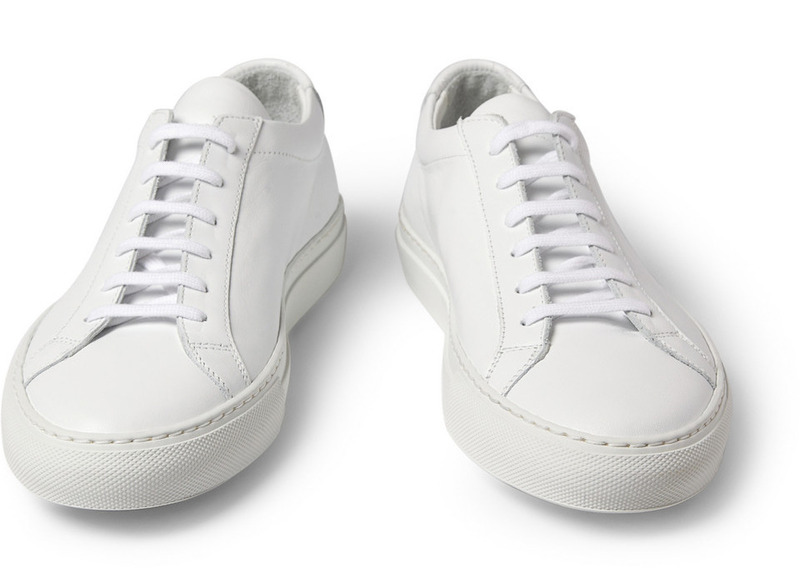 This season, they have sporty white low top, which is sold at their online store, French Garment Cleaners, and Totokaelo Man. 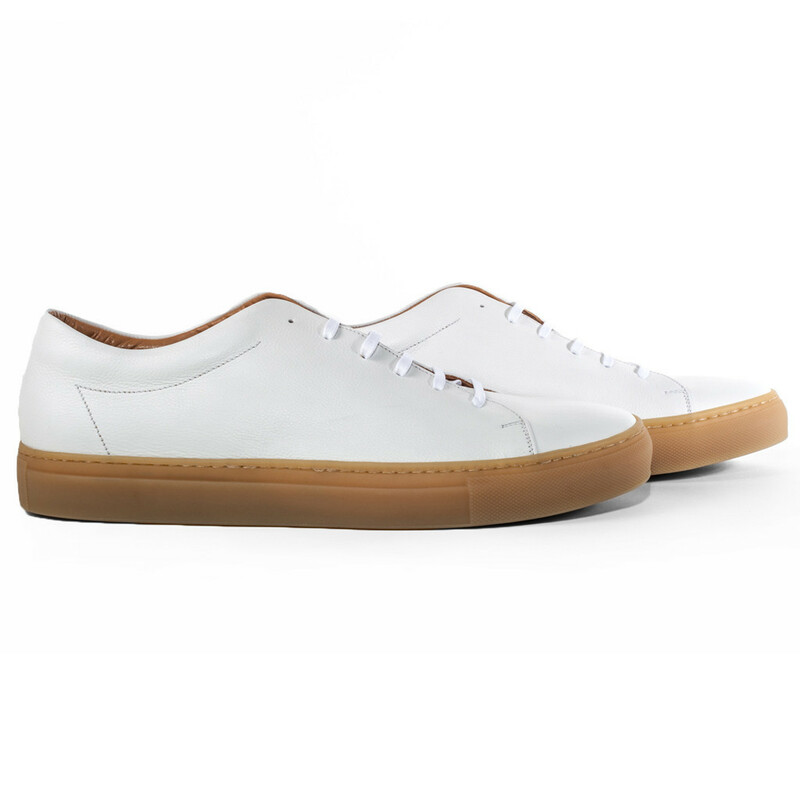 Hydrogen-1 ($305): A new San Franciscan label with sneakers that are just as well made as any of their competitors. These white low tops with gum soles look great, and they come in suede. 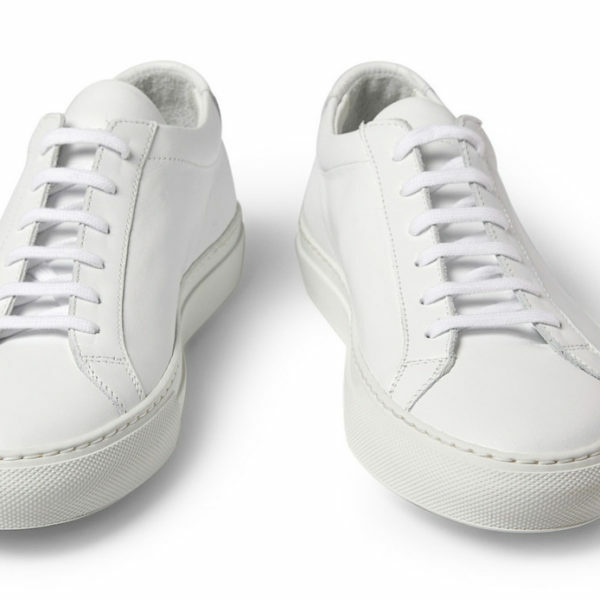 Comme des Garcons ($300): Wait, are these minimalist sneakers or just Adbuster rip offs? National Standard ($270+): A relatively new label that I unfortunately don’t know much about, but they’re sold at reputable and fancy boutiques. Check them out at L’Exception, Ikkon, and The Corner. Erik Schedin ($238): I’ve unfortunately never handled these, but have always admired their design. The listed price drops down to $238 once you deduct for European taxes. 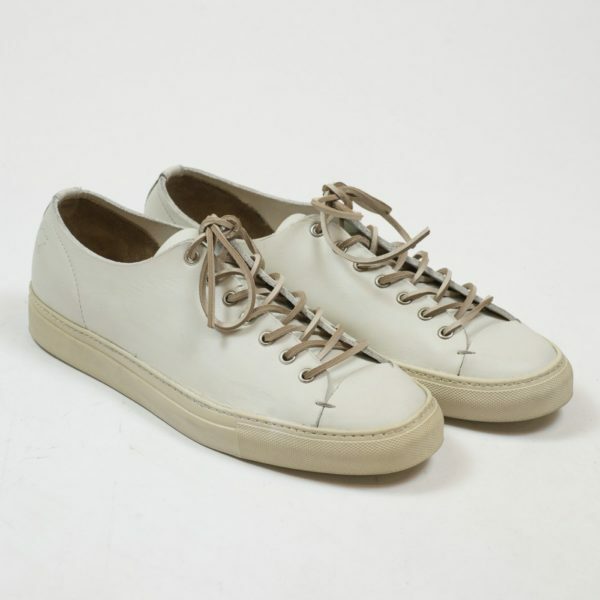 Twins for Peace ($200): A minimalist sneaker with a cheeky pair of shoelaces. If you don’t like the laces, I imagine you can easily swap them out for something simpler. Garment Project ($192): A Danish company doing basics such as shirts and sweatshirts. Their sneakers have an inverted “V” at the eyelet tabs and a more exaggerated toe cap. Available at MKI and Wardrobe19. Nikes ($105+): Granted, Nikes will always have that big swoosh, which goes against the spirit of minimalism, but they have some great designs at relatively affordable prices. Check out the Air Force Ones, Dunks, Air Jordan 1 Mids, and Blazers. You can get these in all white if you go through Nike’s ID program. 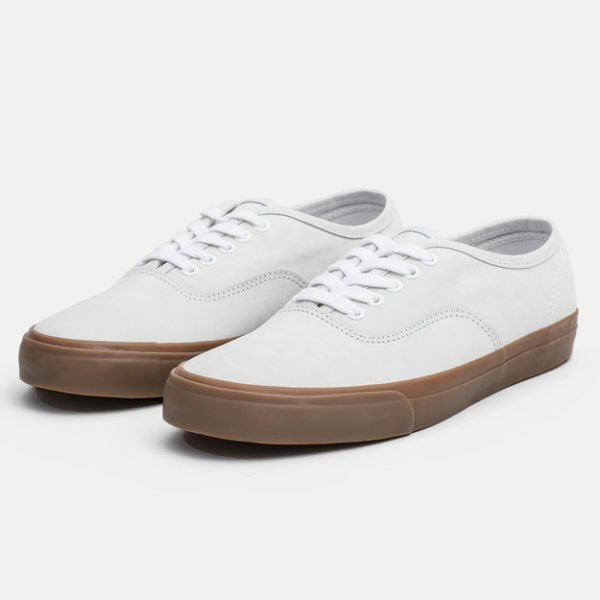 Saturdays NYC ($95): A nubuck version of Vans Authentics that’s on sale at Totokaelo Man and Roden Gray. Also available? Authentic suede Authentics. Kent Wang ($95): One of the most affordably priced options of all. Adidas ($75+): Many of Adidas’ designs can look reasonably minimal. Consider the Sambas, Rod Lavers, or Stan Smiths. 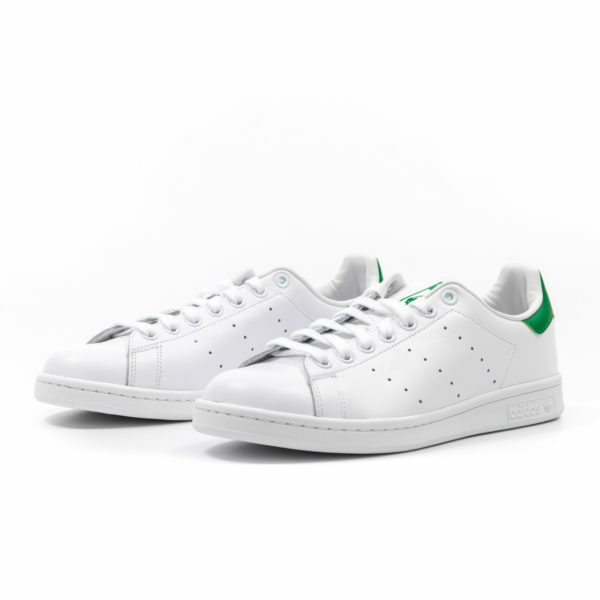 After all – the Rod Lavers and Stan Smiths are what everyone above is knocking off.